Highly ornate wrought iron gate design. Creates a wonderful focal point to any entrance. Designed to showcase the best of ornate metalwork the Royal Monarch wrought iron style garden gate will ensure high levels of privacy and security without ever compromising on aesthetics. 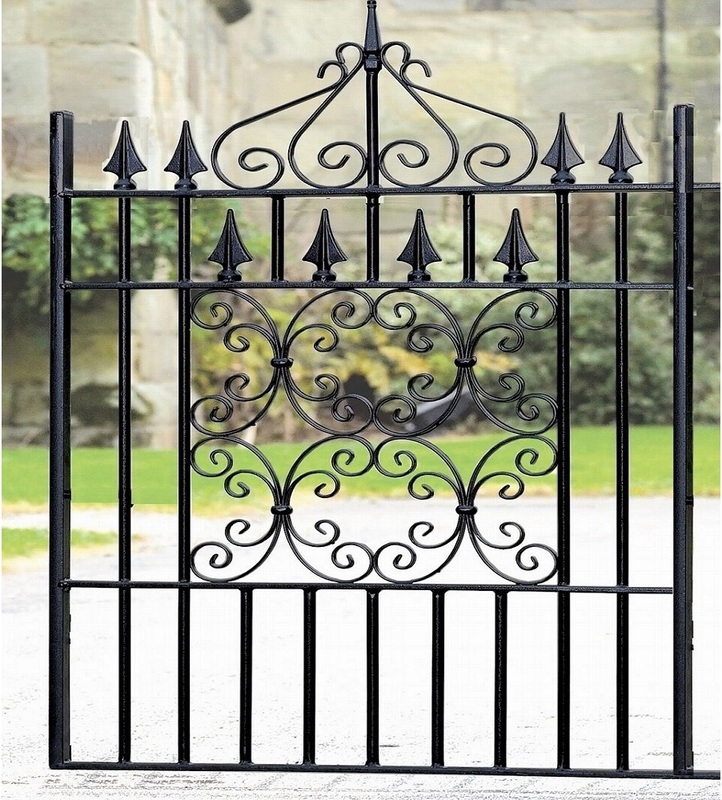 Royal Monarch metal gates feature a heavy duty wrought iron style construction. Suitable for many residential settings. Constructed with 40mm x 30mm hanging stiles, 40mm x 10mm closing stile, 16mm x 5mm metal scrolls and 16mm infill bars. Single gates are supplied with adjustable hinges and a sliding latch. Designed to be RIGHT HAND hanging (as viewed from the road side). Do you need assistance selecting the correct size? 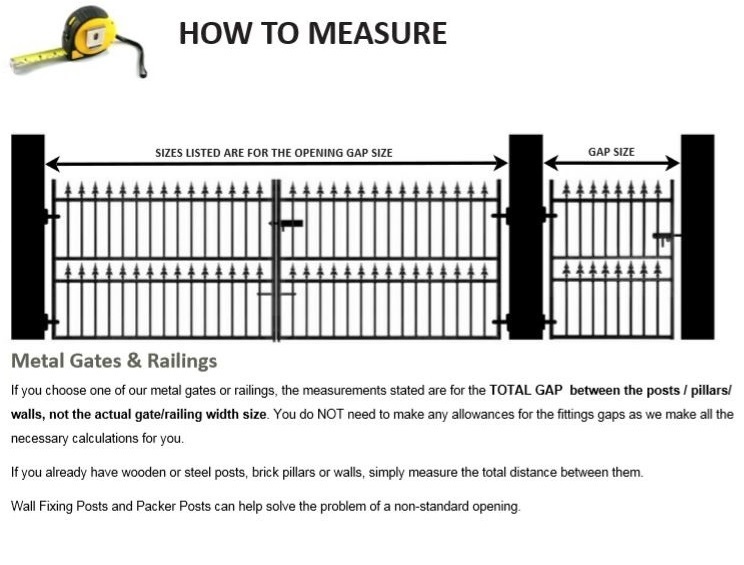 Contact us by phone or email, read the measuring guide or take a look at the frequently asked questions. 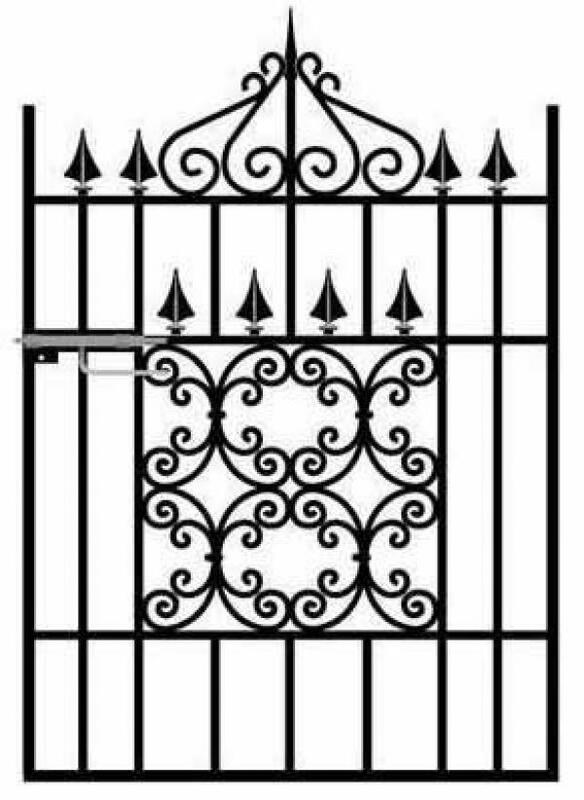 To enhance the highly ornate wrought iron style garden gate we offer a range of additional items and optional extras including the following. To learn more about these additional item and finishes please call now on 0844 804 5577, email sales@gardengatesdirect.co.uk or fill in our enquiry form.